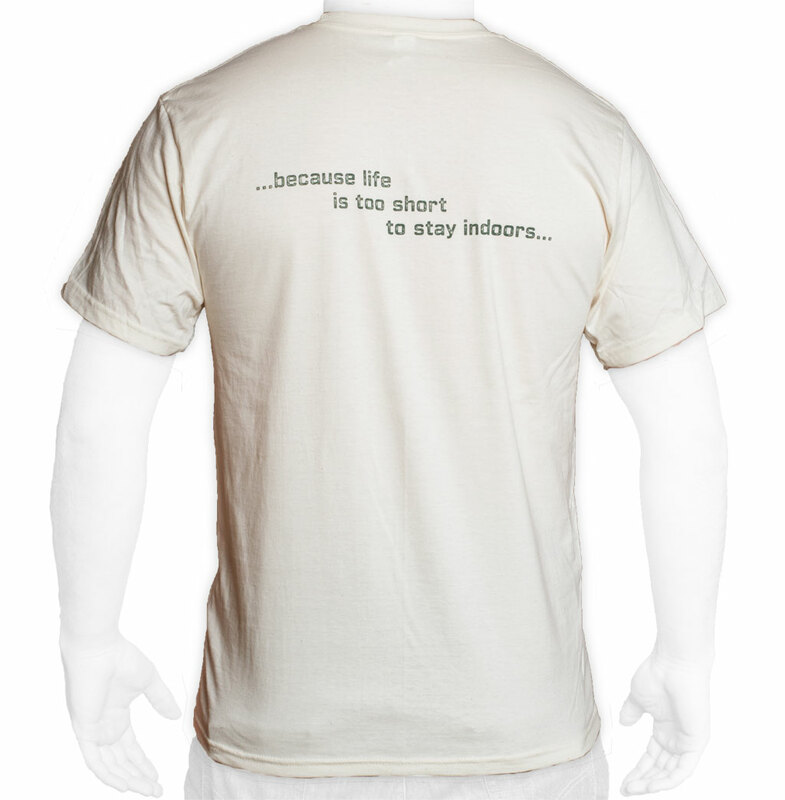 This organic cotton shirt has the Hilleberg logo on the front and the text "...because life is too short to stay indoors..." on the back. 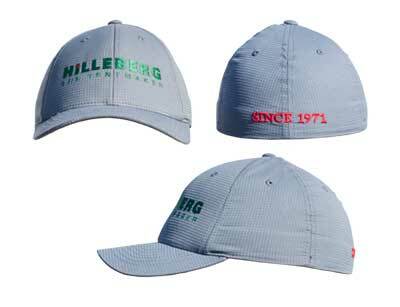 It is available in men's and women's styles. Click image to enlarge. 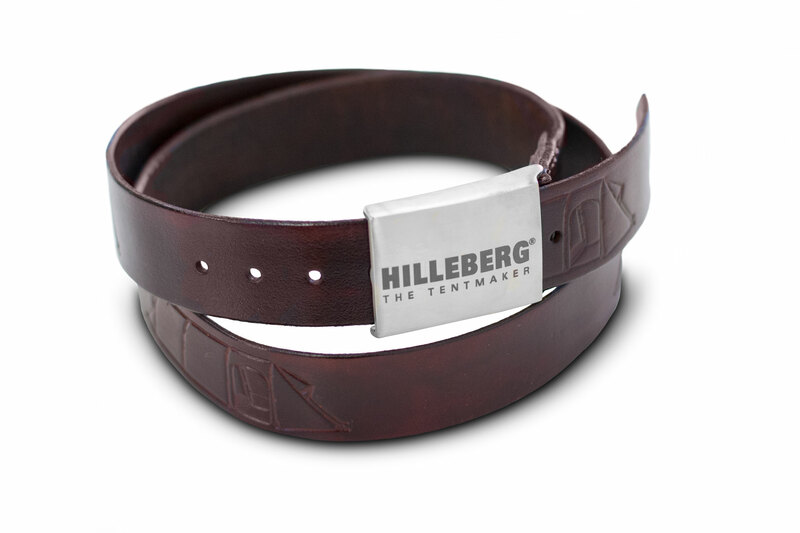 Our limited edition Hilleberg belts are handmade in Germany, and boast a cast buckle etched with the Hilleberg logo, and a hand crafted leather belt, hand-dyed in either black or brown, with a series of stylized Kerons stamped into the leather. 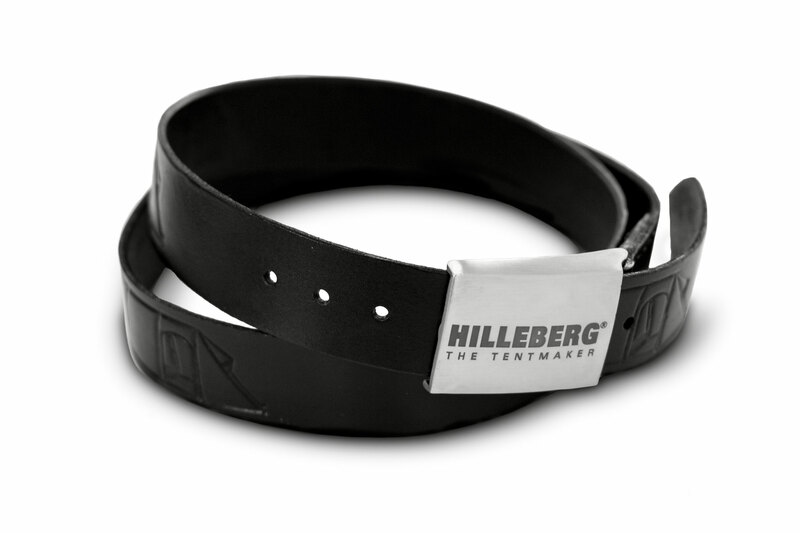 The belts are finished, including holes, and are available in assorted sizes. 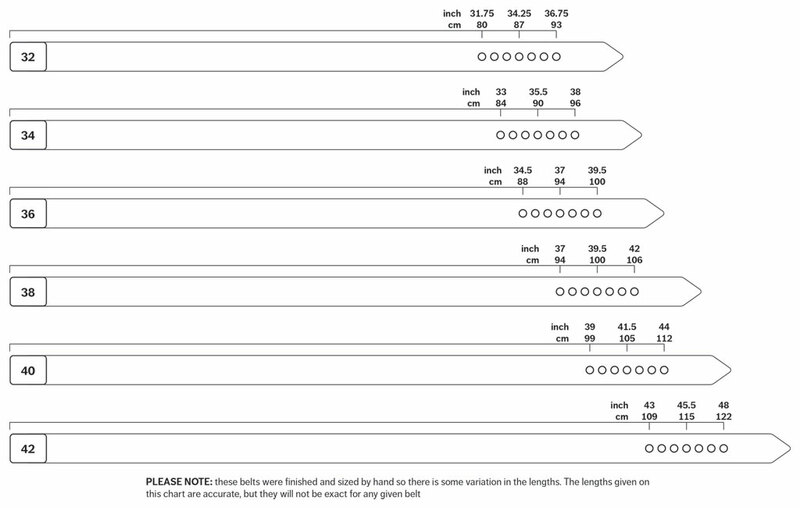 A NOTE ON BELT SIZES: The sizes listed DO NOT reflect waist size, and DO NOT correspond to your usual pant waist size. 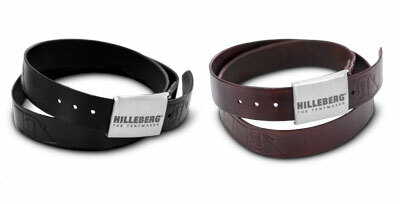 To get your proper size, measure a belt you like from the end of the buckle to the hole you use. 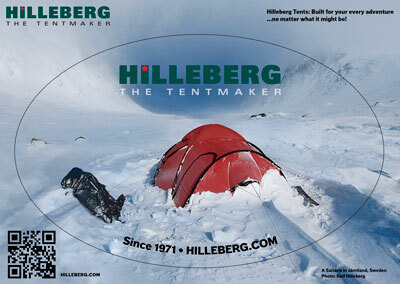 Click here to see a size chart to match that number to the correct size of Hilleberg belt. Alternatively, slide a cloth measuring tape through your belt loops (while wearing your pants where you normally wear them), and measure. 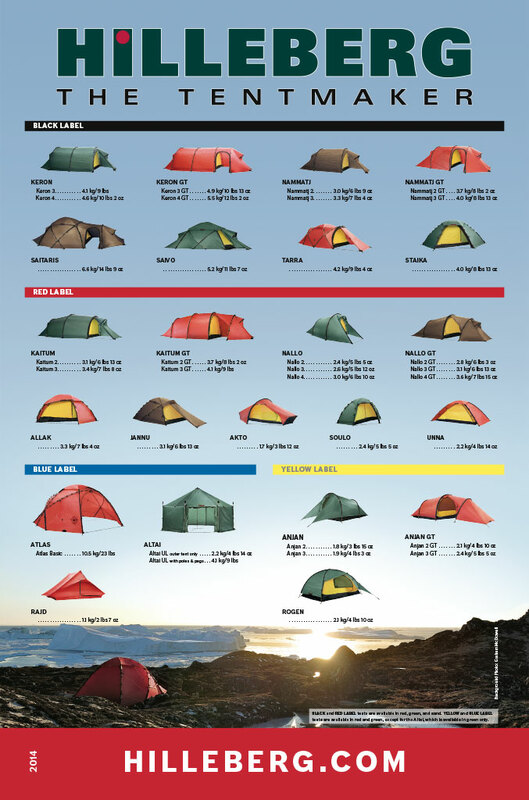 Please note that there is some overlap in sizes. Take into account whether you like to have more or less belt-end, or if you like your belt looser or tighter. Also note that these belts were finished and sized by hand so there is some variation in the lengths. 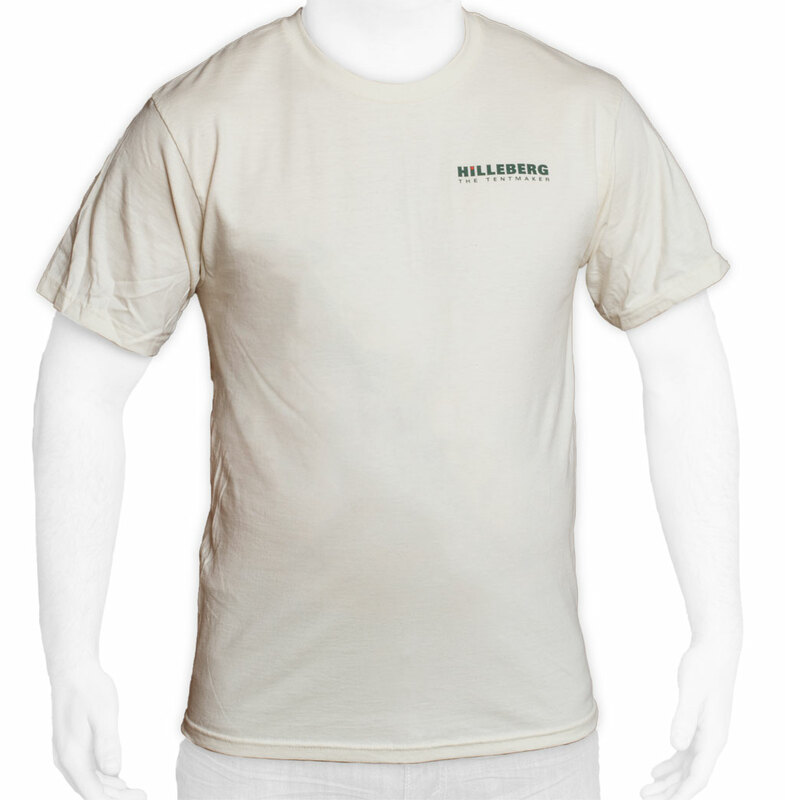 This organic cotton t-shirt features a stylized image of our flagship tent, the Keron, on the front and the Hilleberg logo on the back. 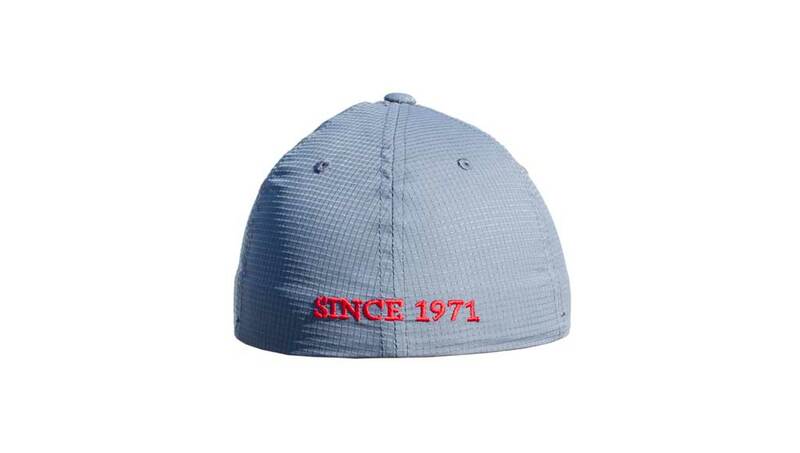 It is available in men's and women's styles. Click image to enlarge. 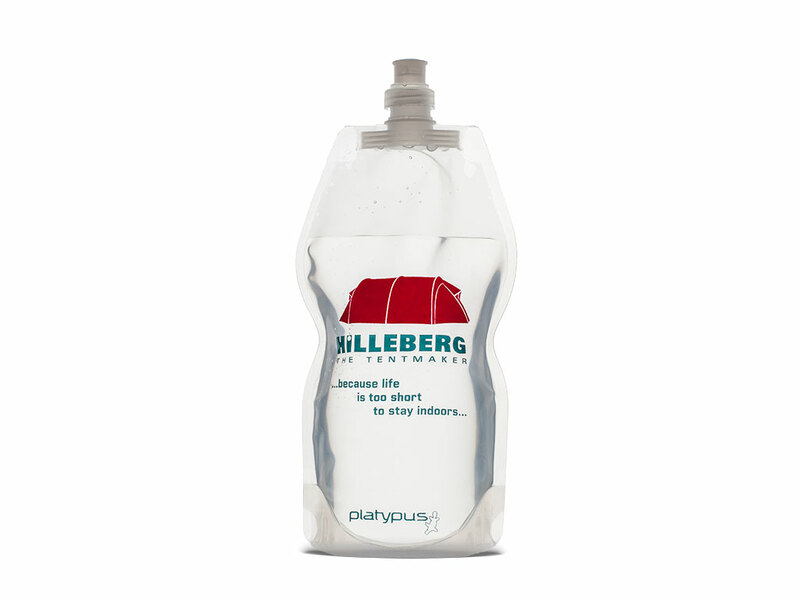 The Platypus SoftBottle is one of our favorite water bottles. It’s made out of flexible plastic, which makes it lighter and less bulky than many other bottles, and allows it to be easily rolled up and packed as a spare. 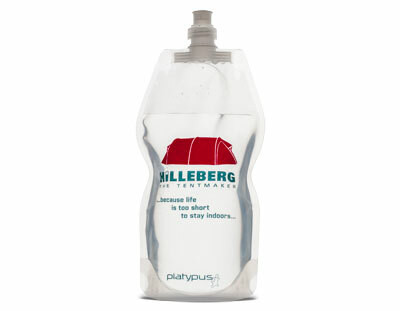 This bottle includes a push-pull cap, but you can use it with any threaded Platy lid or drinking tube. 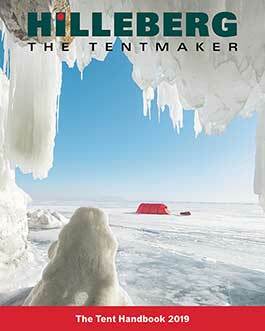 It has the Hilleberg Logo and stylized Keron on the front, as well as the phrase “…because life is too short to stay indoors…”. 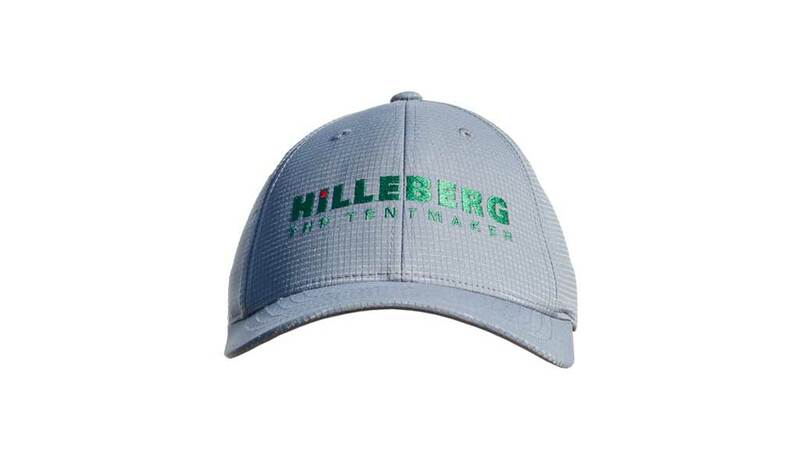 This athletic, flexfit baseball cap has the Hilleberg logo embroidered on the front and the text "Since 1971" on the back. Small/Medium Fits standard size 6 3/4 through 7 1/4. 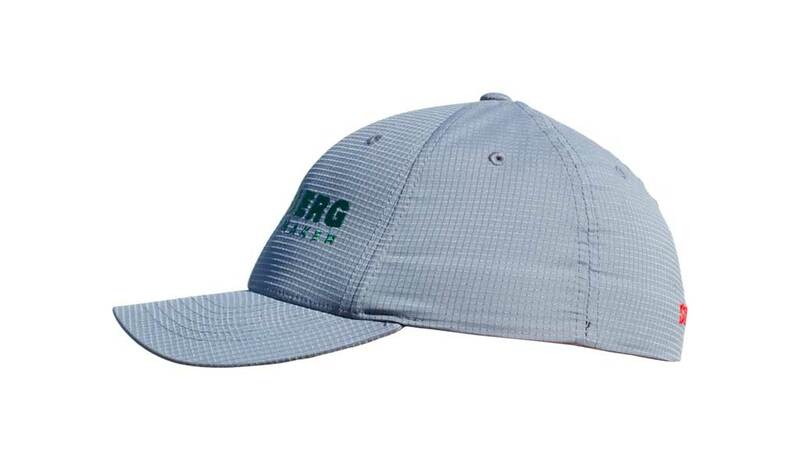 Large/Extra Large Fits standard size 7 1/8 through 7 5/8. 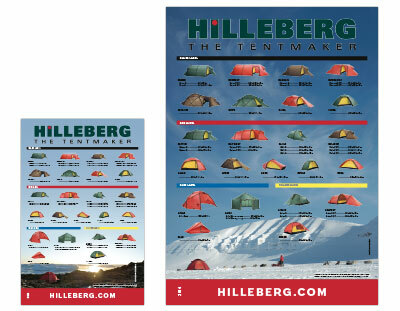 The Hilleberg Poster shows all of our tents. 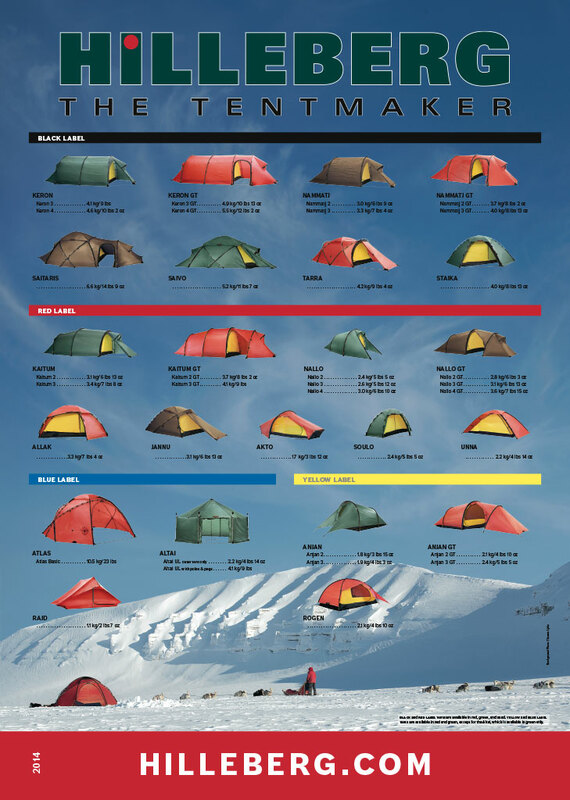 Please contact us if you need more than one poster. 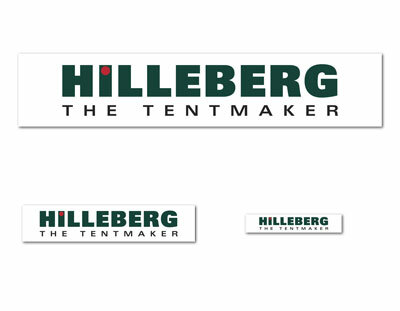 The Hilleberg stickers have our logo on a white or clear background. 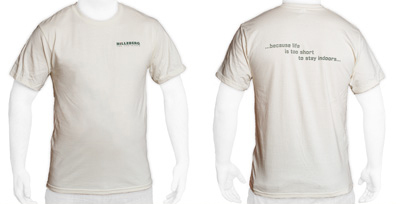 If you need more than one of each size, please contact us. These stickers have a photo of a Saitaris in Jamptland Sweden. The stickers are oval shaped, 3.5 inches by 5.5 inches.